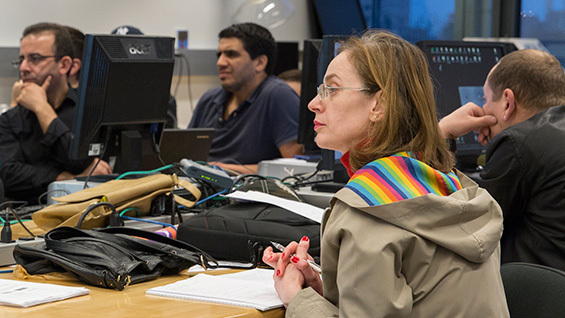 The Retraining Program for Immigrant Engineers, a service that provides free classes to highly skilled yet struggling New Yorkers, this year completed its long transition to being wholly operated by The Cooper Union. Little known outside of immigrant-focused organizations, the RPIE has a mission that looks almost identical to Peter Cooper's original design for this institution. After three decades it now assists over 250 legal immigrants annually with a remarkable 65 percent success rate in helping them find a position to support themselves in their professional fields. "The problem with getting an American job is that you need the American experience to get the American job," says Fred Fontaine EE'86, professor and chair of the electrical engineering department, and academic director of the RPIE. "We have people from literally every continent except Antarctica. The immigrants have work permits. They have been trained either as engineers or scientists. But a lot of them are either unemployed or underemployed. They are at the working-class poverty level or below. So we provide a competitive advantage." The RPIE began in 1987 as an individual tutoring program run by Bnai Zion, a Jewish philanthropic organization, focusing on the large influx of former Soviet and Eastern Bloc immigrants at the time. In 1991 The Cooper Union became involved by offering classroom space. Since then it has slowly taken over more and more of the program's management, including a major expansion in 2003 funded by the Robin Hood Foundation, which remains its key sponsor. This year marks the occasion when the RPIE will be housed and managed entirely by The Cooper Union. "Our goal is to place the students in jobs," Professor Fontaine says. "We don't offer a chain of courses, as in an associate's degree that takes several years. Our goal is more immediate." 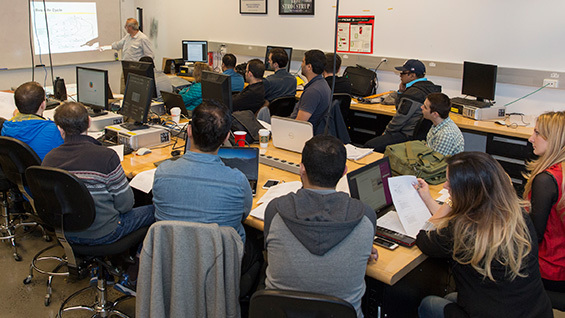 Classes are offered in all the major engineering disciplines, as well as information technology, though subjects frequently change to stay on top of trending marketable skills, such as a class in Android app-building. Classes are held at night and on weekends to accommodate work schedules. Free resume guidance and networking opportunities are also offered as part of the program. "For me it was an amazing experience," says Juan De la Rosa, a civil engineer from the Dominican Republic. "I came to the U.S. in December 2012. I was 14 months without a job. I had seven years experience as an estimator. I was the first estimator of green buildings in the Dominican Republic. Here the market for jobs was very crowded. The retraining program was key. I started in 2013. I took a course in AutoCAD and other classes. Afterwards I received four or five interviews. I started my first job in 2014." As a requirement for funding, the RPIE keeps meticulous data points on all its students, tracking them for three years. They can demonstrate that 65 percent of enrolled students move on to a position with an increase in salary that takes them from below or at the poverty line to above it. "It's nice they got a job in an area they like," Professor Fontaine says, "but we take advantage of their knowledge and ability and give them a step up. That's the most important thing." Now that the RPIE lives completely under The Cooper Union roof, the organizers hope to begin expanding it even further. 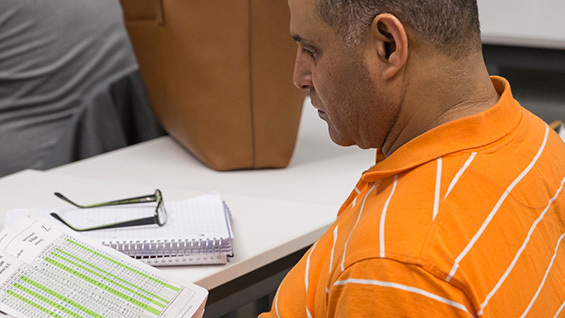 Two years ago they partnered with the New York State Governor's Office of New Americans, which offered classroom space in their building downtown. Further along the organizers may offer part of the curriculum online, making it more cost-effective while potentially serving more participants. But the focus on helping skilled but underemployed immigrants will remain the same. "If you go back to the origin of the Cooper Union and the demographic it was targeting, it was the poor working immigrants in New York City, providing them with technical training so they could find work and improve themselves," says Professor Fontaine, who is the son of Romanian immigrants. "To me the RPIE is really close to the core, original mission of the school. Servicing the immigrant population and helping them to find jobs not only helps the individuals but helps the city and society because these people can contribute a lot. They need a leg up. They need to land that first position. And then they can make positive contributions to society."